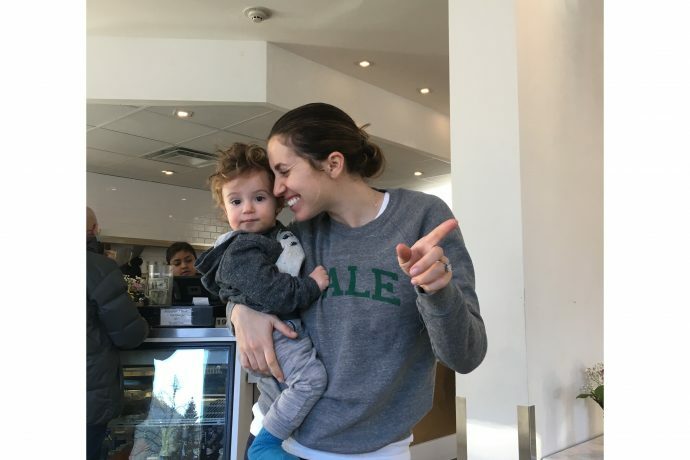 WHILE WELLNESS-LEANING MAMAS RUN RAMPANT FROM COAST TO COAST THESE DAYS, SABRINA RUDIN, OWNER OF ASPEN-BASED SPRING CAFE AND NEW YORK NATIVE, LIVING PLANT-BASED IS IN HER DNA. “I was lucky enough to be raised by parents who care deeply about health and nutrition and the benefits of eating whole, real foods, so that was instilled in my from an early age,” says Rudin. “As I got older I took ownership of that and really focused on what foods and practices made me feel vibrant and healthy.” To wit, Rudin focuses on raising one-year-old son Lukas as holistic as possible while hopscotching between New York and Aspen to run her organic cafe and juice bar, which has drawn the likes of high-brow clients from Elle MacPherson to Tracy Anderson. 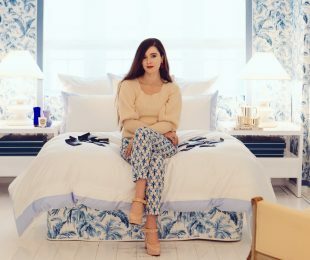 Just in time for spring break, we caught up with Rudin who talked post-partum nutrition, un-plugging and every holistic baby necessity any green mama worth her pink Himalayan salt must purchase now. I would describe my approach to diet as wellness-centered but also creative and driven by what I am feeling and craving in the moment. That being said, I also love to dine out, entertain and travel, so I try to strike a balance while always keeping a few basic principles at heart. I will happily taste a really delicious dessert that I know is made with whole ingredients but I have a list of foods that I won’t touch: food coloring and processed snacks and candy. It’s more about being discerning and knowledgeable than cutting out whole food groups. While I eat a diet that is very light in dairy, I will often snack on raw goat or sheep cheese from farms that I trust and I enjoy pasture raised eggs. This is what I mean by striking a balance and finding what works for you. I truly believe that we are what we eat, but we are also what we think, so while I take my health very seriously. I try to keep an open mind and remain light hearted. It’s changed a lot since becoming a mama to my son Lukas. My day always starts with a homemade green juice, that’s non-negotiable. I just feel better when I do it. I prefer to leave out the fruit and my go-to recipe is kale, romaine, celery, cucumber, dandelion greens and lemon. Sometimes I’ll add fennel or use zucchini instead of cucumber depending on what I have on hand. Now Lukas can share it with me which is really fun and special, so that’s how we start most mornings. Before having my son, I would have my green juice, then make a big smoothie and hit the gym but now, between sleep deprivation and breast feeding, I’ve found that I need to eat a bigger meal in the morning so I start with my green juice, then depending on how I’m feeling I’ll either have avocado toast on Sami’s Bakery millet flax bread, organic gluten free oatmeal with homemade nut milk or pasture raised eggs with some sautéed or steamed veggies. I usually have a snack around 10:30 A.M. / 11 A.M., which is some kind of smorgasbord of apple, raw almond butter and raisins and raw nuts or a few slices of raw goat cheese and olives and hummus. I don’t discriminate between lunch and breakfast foods, I’ve been known to have kale, beans and black rice for breakfast if there are leftovers from the night before and it appeals to me in the morning. Lunch is often a big salad of greens, celery, cucumber, olives, cabbage, endive, carrots with either chickpeas, lentils or tofu or tempeh or, if I’m craving some extra protein, clean seafood, and a bowl of soup. If I don’t have time to cook I like to order takeout from Angelica Kitchen, Souen or Sacred Chow because I trust their ingredients and their principles and they use clean, organic ingredients. Then I graze again around a 3 P.M. or 4, P.M. either on a bowl of fruit or a piece of toast with hummus or tahini, nori flakes and olive oil or sometimes I’ll have goat or coconut yogurt with nuts and raisins and some carob chips if I’m craving something sweet. I feed Lukas dinner at 5 P.M. and I’ll usually have a little of whatever he is eating so we can have “meal time” together, then after I put him to bed I love to cook dinner for me and my husband. I rarely follow recipes but rather do a meal based on what I find at the farmer’s market or at my favorite local health food store that day. Dinner always involves lot’s of braised or sautéed greens, and either a bean dish like chickpea and spinach stuffed sweet potatoes, vegan baked ziti with quinoa noodles, chickpeas and black olives or broiled wild salmon or sautéed scallops. I don’t eat dessert at night because I’m convinced it keeps my son up when he wakes up to nurse in the middle of the night! Sometimes I’ll have a cup of ginger or fennel tea before bed. Since becoming a mom I’m hesitant to say there is anything that I strictly adhere to on a daily basis because every day is different and new and I’ve really embraced surrendering to that. 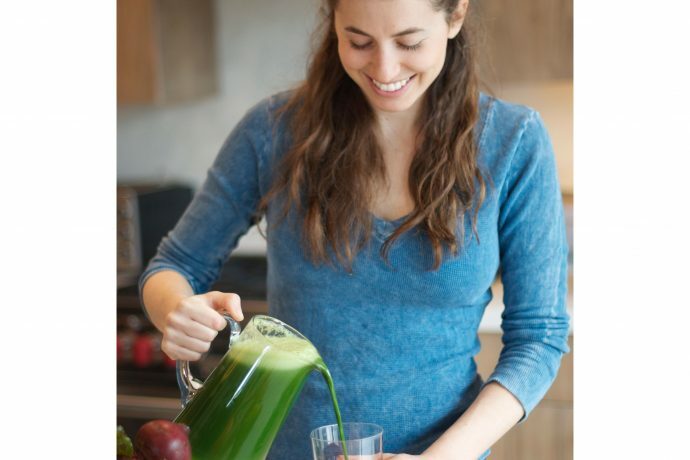 Green juice is as close as I get to a daily ritual and also exercise. I love Tracy Anderson Method and I try to workout at least four days per week. If I can’t make it to the gym, I take my son and our dog on a long walk. I need some kind of movement and fresh air but there are days when it just doesn’t happen and I’m ok with that. My most consistent daily practice is now more of a mindset. I work on being present and being ok with any discomfort I’m feeling and I smile and say thank you. Especially on a day when the green juice and the gym just doesn’t happen, a little bit of mindfulness and gratitude goes a very long way. When did you first become vegetarian and why? I was raised vegetarian, my parents, especially my mom, were ahead of their time. They are also animal lovers and I’ve actually never had red meat, lamb or pork. It’s one thing that I’ve never wanted to try and never felt that I was missing. I’m also deeply disturbed by how we raise livestock in this country. My mom experimented with clean seafood and some locally and sustainably raised turkey when I was younger. Two years ago I went back to being completely vegetarian and truthfully, that is what feels most in line with my philosophy, but after giving birth to my son I was very depleted and it was clear that I wasn’t getting all the nutrients I needed post-partum. I was really craving fish and I held off for a few weeks because I was so attached to my belief that I shouldn’t be eating an animal. Then about two weeks after my son was born I was out to dinner with my husband, I saw salmon on the menu and I couldn’t resist ordering, I’ll never forget I took a bite and I literally felt my brain just clear, like this fog that had been settling since giving birth, lifted just a little bit and I actually couldn’t stop smiling. I told my naturopath about the experience and he said that I felt better in that moment because my taste buds were sending a signal to my brain that it was finally receiving what it needed. Since then I’ve eaten wild salmon, halibut or sardines 3 to 4 times a week. Sadly most of our seafood is very polluted, with metals, PCBs and other toxins so now I only eat seafood from Vital Choice that I order frozen and cook at home. 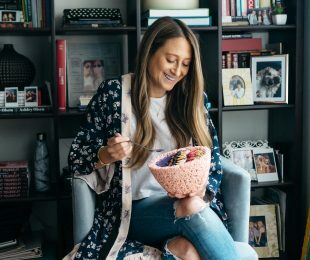 The experience stuck with me and it reinforced that we really need to be listening to our bodies, even if that requires a change to our daily diet or routine. I really believe our bodies crave what we need to be and feel our best selves so I try to honor that. I love getting a quick manicure and pedicure at Ten Over Ten, they have non toxic products and they give a great mani/pedi so when I need a little me time or self care I run over and indulge. I also see a wonderful osteopath named Olivier Bros and for acupuncture I see Abdi Assadi, both are incredibly intuitive and highly skilled and knowledgeable and whenever I am feeling out of balance I seek a treatment and their guidance. My husband and I splurge on massages at our home on Friday nights when we really need some deep relaxation and restoration, we use Matt Dubetsky, it’s a religious experience. I feel very fortunate that most of my day is spent in the spirit of “self-care”. I achieve this through using natural and organic skin products, cooking and eating nourishing and healthy foods with my family and spending my days with my son and our dog playing, going to the park and meeting up with his friends and other mamas. 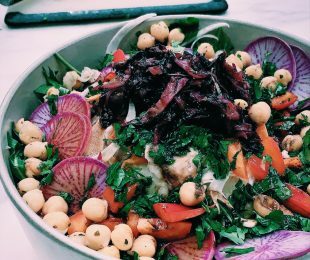 I also work and run Spring Café so I’m always in the mindset of creating healthful and delicious recipes. I spend a lot of time thinking about food! I have always believed in the pursuit of all things joyful, so I try to apply this philosophy to my daily life. Do you do anything to destress? I recently did an “Instagram-cleanse” for a week and it was very freeing. We are so hooked on Instagram that we don’t realize we are constantly living in a state of comparison. Is her life more exciting than mine? Is her relationship with her child better? Is her smoothie more vibrant? And so on. From the moment we wake up to the time we go to sleep, we are bombarded with images of other people’s lives, only they are tiny, curated images, not the whole messy picture. After I had my son, a wise friend said to me, “next time you see a photo on Instagram and it makes you question yourself, think of what happened 15 minutes before and 15 minutes after that picture was taken.” That advice really stuck with me. No one has it all together. The week I didn’t carry my phone around, I made breakfast for Lukas and I didn’t worry about whether my smoothie looked at bright as someone else’s Pitaya bowl. I worked out, cooked, played with my son, all without any proof of it on social media and at the end of the day I thought, ‘I’m a rockstar,’ without any second-guessing based on someone else’s documentation of the same daily life. That’s how we should be talking to ourselves, that’s the ultimate act of self care. Now I’m back on because it has its place and it is important for the cafe, but whenever I find myself self-doubting or comparing, I take a break and think of those 15 minutes and I know it looks very different than what is posted on the screen. What are your top favorite ingredients to have in the kitchen that help make all your vegetarian meals so delicious? I can’t live without tamari, leafy greens, turmeric, Eden Foods seaweed and sesame shake and a jar of homemade nut milk. Then there’s what my mom always called “special things” meaning items she would pick up at the health food store or farmers market that day on her daily treasure hunt for wholesome, healthy foods–anything from delicious olives, fresh raw goat cheese, ripe Asian pears or really high quality and organic semolina or rye bread or a naturally sweetened dessert as a treat. 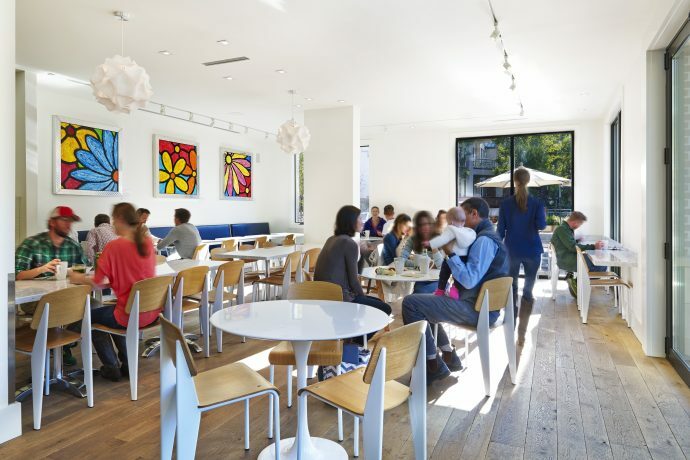 What are your favorite healthy spots in Aspen? If I’m not cooking you can find us at Spring Café. We live above the restaurant, which makes being a working mom when I am there a lot easier. I can feed my family and check on customers or run behind the counter if I need to. We also love Campo De Fiore for wonderful and nourishing Italian food and Matsuhisa always has delicious vegetarian and gluten free options. I love to do yoga at O2 with Evan Soroka. They also have a spa with great facials. Clark’s Market in town always has a nice selection of healthy products and organic produce. In the summer the Aspen Farmer’s Market is glorious, we go every weekend and stock up. What is your favorite most nourishing meal to make yourself? What about for Lukas? I love to make a morning smoothie to share with Lukas because I can pack it with so many great ingredients and he drinks it right up. We love blueberries, raspberries, homemade brazil/walnut milk with the pulp, kale or spinach, DHA, hemp seeds and raw coconut meat. I also love to make him a homemade bean soup with loads of veggies and adzuki beans that I soak for 12-24 hours. My favorite meal has been the same since I was little. There is nothing like sitting down to a salad, short grain brown rice with shitake mushrooms and caramelized onions (my moms recipe) broiled tofu or salmon with tamari and sautéed kale with tamari, nori and sesame seeds. I believe supplements should do just that, supplement a diet of whole grains, fruits, veggies and light protein. That being said I did start a stricter supplement regime after giving birth and I’ve felt great on it. I take Thorne prenatal as a multi vitamin, Thorne D3/K2, Health Concerns post partum formula, Designs by Health Iron, and I take zinc because a blood test revealed that my zinc to copper ratio was a bit off. I also take Omegagenics DHA 720 I try to take a blood test every 6 months so that I know where my supplement and mineral levels are but I can usually tell by how I feel when things are in or out of balance. What are little things that you do to raise your baby holistically? Raising Lukas holistically was really important to me, breastfeeding is an extremely personal decision but it was the right one for our family. Lukas will be a year in three weeks and I still breast feed and supplement with three small meals of nourishing, organic, solid foods. We choose homeopathic remedies instead of over the counter medicines, and I use organic and non-toxic products including Bambo Nature diapers, cloth wipes, Manuka honey or coconut oil for his skin, and Earth Mama Angel baby soap. I try to make sure all of his clothes are free of flame retardants and are Oeko-Tek certified, especially the every day basics that go directly on his skin, Hanna Anderrson makes great clothes that meet these standards. How do you balance your own wellness practice with being a new mom? Everything changes when you become a mama. Suddenly you have this little being whose needs come before your own. It is a big adjustment. That being said, I feel very fortunate that my “wellness practice” has always been a way of life, rather than something that I fit in to my schedule. I have my parents to thank for that and I try to create a similar environment for Lukas. 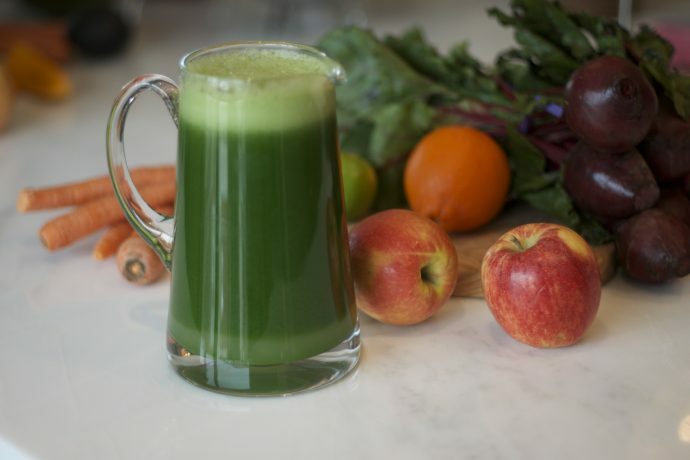 Whether it is having our green juice together or enjoying a beautiful vibrant meal or spending a lot of time in the fresh air walking and strolling around the city. We live our daily life in the spirit of wellness or at least that is my intention. Right now I don’t like missing time with Lukas, so I honor that while still listening to my body when it tells me it needs a few minutes of relaxation. If I feel a little extra stressed, then I book myself a treatment but I try to go when Lukas is napping. Of course, I don’t get to the gym every day or get my monthly facial that I used but but that’s ok. There will be a time for that again.